This is Sierra (2) Playing the matching game. She loves things like this. She loves to watch this video over and over though I am not video person and this is horrible she is still cute! Right click and save pictures from online that are not copyrighted and are free to use. This is a water theme. You can use shapes, numbers or anything. Print 2 copies of each one. Cut out one set out and keep the other one complete. 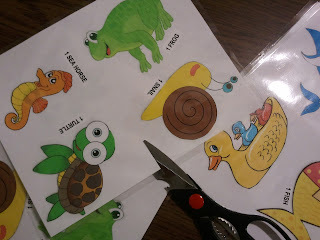 Your toddler can use them to match to the page that is not cut out.